Spring cleaning. A time when you are able to open the windows and allow fresh air to replace the closed, stagnant air of winter. A time when you pay attention to the little things and ‘deep clean’. I am reminded that my soul – my ‘house’ if you will, needs cleaning too. God tells me that I need to be clean to have prayers answered. As I read the Word of God, I have the Holy Spirit to interpret, guide, instruct, admonish and convict. He is my direct link to all things spiritual. Focusing on His voice; hearing Him and obeying that which I hear is imperative. Many stumble because they fail to hear His voice when it is spoken through His authority. God places human elements in positions to be the leaders; to oversee the work and guide the workers to accomplish all that God instructs them to do. For some, it is that very fact – that they are human – that causes them to remove themselves from under their authority. Pride. Comparing ourselves among ourselves – we are not wise. I am responsible for taking care of my house and keeping it in order. When my house is in order, I can rightly see where my place is in God’s plan for my life. When I fail to deal with that which is between me and my Heavenly Father, He must deal with me as a disobedient son. You may say that God was harsh with Achan for his deed. He willingly stole that which was expressly forbidden and hid it for use as his personal gain. Joshua warned the people and told them just to Whom all the spoil belonged. If I were to die in my sins and receive the punishment for those sins, I deserve Hell – forever. Every soul must take part in the first ‘housecleaning’. After that, as a child of God, I must keep clean to allow God to use me for the purpose for which He saved me. Just as dirt clogs the filters of most machines and limits its peak operation, we cannot function as God intended when the ‘dirt’ of sin clogs the path of the Holy Spirit in my life. 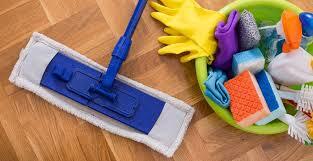 Spiritual housecleaning is a daily if not moment-by-moment task. Having a heart to be and stay clean is what we need to covet.